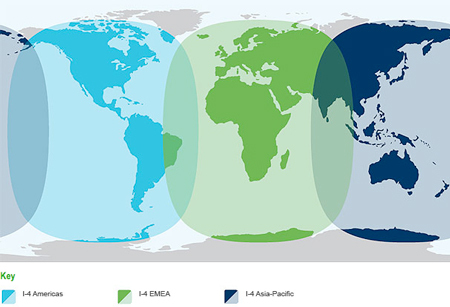 global network of three I-4 satellites. conditions. BGAN coverage February 2009.